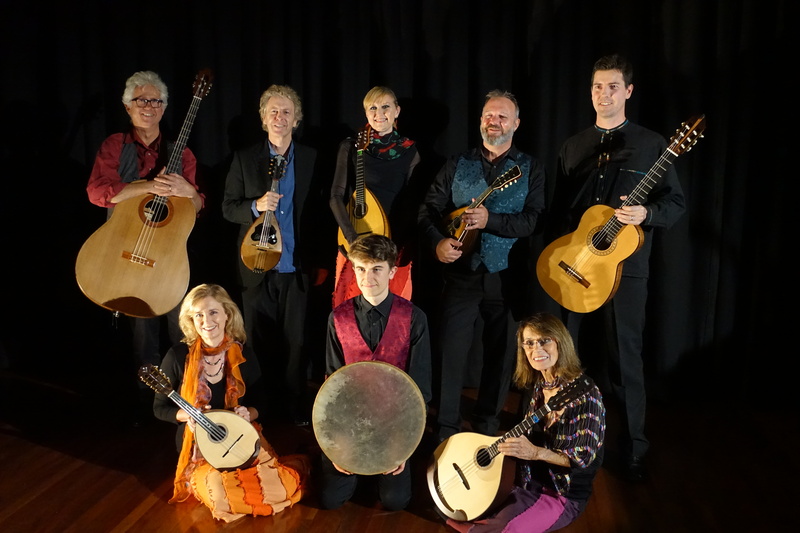 Plektra is a plucked string instrument ensemble of mandolins and guitars that performs an evocative fusion of works from the classical canon and contemporary Australian-inspired art music and ‘world music’ inspired by countries and regions of Eastern Europe. The program will include music from Classical to Latin and Balkan music and will be performed in the Convent’s beautiful Community Room, below the stained glass windows. Lead by internationally renowned mandolin soloist Dr. Stephen Lalor who either arranges or writes most of the music, Plektra features mandolins, mandola, classical guitar, acoustic bass guitar and percussion. Members are Conservatorium and University trained professional instrumentalists currently performing in a wide range of musical contexts from symphony orchestras to jazz and traditional music groups. Their recordings are broadcast on ABC Classic FM and their CD ‘Plektra’ has received critical acclaim. A sample of Plektra’s music is available on Youtube. For more information about the musicians, see their Facebook Page. Available at https://www.trybooking.com/XLSQ and at the door from 1.30pm. Arrive from 1.30pm to choose your preferred seat. This concert is presented by Plektra, and as such the Sacred Spaces office is not able to take bookings via our office.